Once more, little beavers are separated from their family. The level pack comes with 28 brand new levels, with challenging puzzles. 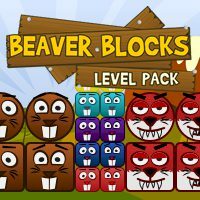 Remove wooden blocks to help the return of the beavers to the safety nest, and avoid evil wolves.